Price: IDR97,127,682 / $7,257 / £5,586 / €6,459 per person sharing, assuming 4-8 participants. Items of a personal nature, such as laundry, souvenirs, etc. 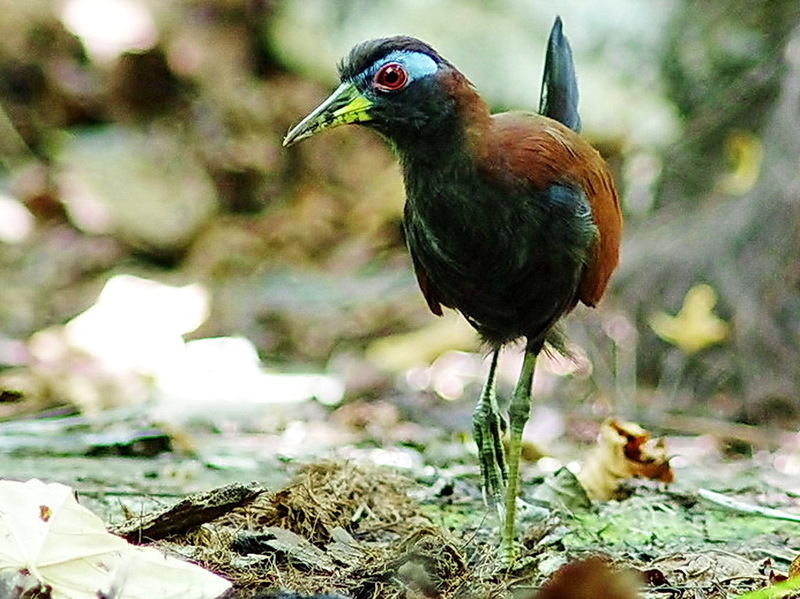 Sulawesi, a large, four-pronged island of Indonesia that sits between Borneo and New Guinea, is an amazing destination absolutely teaming with Indonesian endemics. Nearby Halmahera is equally exciting – while much smaller, it hosts a couple of the most sought-after of the endemics. Probably most famous among the many endemic birds we’ll be looking for on this tour of these two islands is the Standardwing bird-of-paradise, whose raucous calls echo through the forest from their leks. 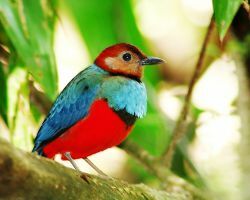 Ivory-breasted Pitta, a plethora of stunningly-colored kingfishers which illuminate the forest, and mound-building Maleo are also top targets. Popular on this tour are also things like Purple-bearded Bee-eater and brightly-colored parrots (especially on Halmahera, which is more Australasian than Sulawesi, although both islands are east of Wallace’s Line and thus poor in more Asian groups such as woodpeckers). Not only are the birds spectacular, but many endemic mammals also inhabit these islands. This itinerary gives us a chance to crisscross both islands to find many of the endemics and some of the really good mammals. A flight by Silk Air departs from Singapore directly to Manado. After arrival in Manado we will drive to Tangkoko Nature Reserve (two to three hours). We’ll spend the afternoon birding around the park; at this time we should get a chance to see one of the smallest primates on earth, the Spectral Tarsier, as well as the Celebes Crested Macaque. We’ll have a full day birding in the Tangkoko Nature Reserve for target species like Green-backed Kingfisher, Lilac Kingfisher, Ruddy Kingfisher, Sulawesi Dwarf Kingfisher, Sulawesi Pitta (split from “Red-bellied Pitta”), Spot-tailed Sparrowhawk, Blue-backed Parrot, Philippine Megapode, Stephan’s Emerald Dove, Ashy Woodpecker, Sulawesi Pygmy Woodpecker, Yellow-breasted Racket-tail, Golden-mantled Racket-tail, Grosbeak Starling, White-necked Myna, Sulawesi Myna, White-rumped Triller, Purple-winged Roller, Ochre-bellied Boobook, Red-backed Thrush, and Grey-sided and Yellow-sided Flowerpeckers. For part of the day we’ll use an outrigger canoe to boat across the mangrove forest to see Great-billed Kingfisher, White-rumped Cuckooshrike, Great-billed Heron, various frigatebirds, Pied Imperial Pigeon, Blue Rock Thrush, and a number of terns. Today is the third day of birding in the park to look for species that possibly are still missing. 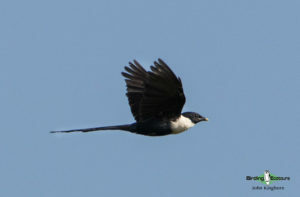 In the morning we will continue birding Tangkoko Nature Reserve, again looking for species we might still be missing. After lunch we will drive to Tomohon to bird the Mount Mahawu Protected Forest for Barred Rail, Sulawesi Goshawk, Sulawesi Blue Flycatcher, Crimson-crowned Flowerpecker, Isabelline Bush-hen, and for a chance for Scaly-breasted Kingfisher. After breakfast we will drive to the airport in Manado for a flight scheduled to depart to the island of Ternate, North Maluku, and from there we’ll continue on a speedboat or ferry to Sofifi on the island of Halmahera, from where we’ll drive to the Wasile district. We’ll do some birding along the way for Blyth’s Hornbill, Blue-and-white Kingfisher, Sombre Kingfisher, Moluccan Cuckooshrike, Halmahera Cuckooshrike, Goliath Coucal, Long-billed Crow, Blue-capped Fruit Dove, Red-cheeked Parrot, Eclectus Parrot, Gurney’s Eagle, Moluccan Flycatcher, Spectacled Monarch, and Northern Golden Bulbul. We’ll also do some night birding here for Halmahera Boobook, Moluccan Scops Owl, and Moluccan Owlet-nightjar. Today we depart early in the morning and drive to Foli, from where we walk to the lek of Standardwing. Their raucous calls echo through the forest, and we’ll spend a while enjoying these amazing birds. Then we continue birding along a logging road to look for Purple Dollarbird, Ivory-breasted Pitta, Common Paradise Kingfisher, Sombre Kingfisher, Azure Kingfisher, Dusky Megapode, Halmahera Oriole, Spectacled Imperial Pigeon, Grey-headed Fruit Dove, Blue-capped Fruit Dove, Scarlet-breasted Fruit Dove, Chattering Lory, Moluccan Goshawk, Moluccan Hanging Parrot, Drab Whistler, White-naped Monarch, Paradise-crow, and Cream-throated White-eye. We’ll do some night birding again to look for Halmahera Boobook, Moluccan Scops Owl, and Moluccan Owlet-nightjar. Today we will be birding along the Buli roadside for species that might still be missing, like White-naped Monarch, Dusky Friarbird, White-streaked Friarbird, Nicobar Pigeon, Violet-necked Lory, Gurney’s Eagle, Paradise-crow, Halmahera Cuckooshrike, Moluccan Cuckooshrike, Moluccan King Parrot, Chattering Lory, Halmahera Flowerpecker, Scarlet-breasted Fruit Dove, Moluccan Goshawk, and Moluccan Hanging Parrot. We’ll spend the morning looking for species we may have missed the day before and then continue to Sofifi. After breakfast we drive to Binagara, where there is a chance to look for Invisible Rail, and then continue toward Sofifi. 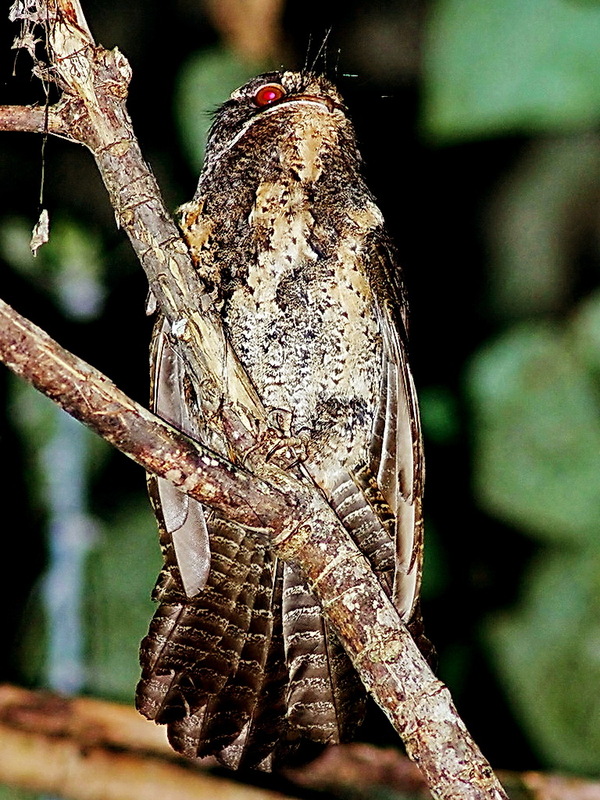 Our afternoon birding will be at Binagara. 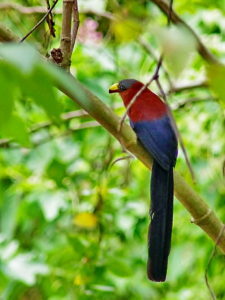 Species here include Ivory-breasted Pitta, Chattering Lory, Goliath Coucal, and Azure Dollarbird. 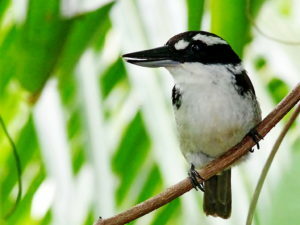 On arrival in Sofifi our birding continues in the mangrove forest to look for Beach Kingfisher. Finally we will be traveling by speedboat or ferry, returning to Ternate. After breakfast we’ll transfer to the airport for a flight to Makassar. After arrival in Makassar we will be birding near the airport to look for Barred Buttonquail, Pale-headed Munia, and Lemon-bellied White-eye. Then we’ll drive to the village of Rammang-Rammang. 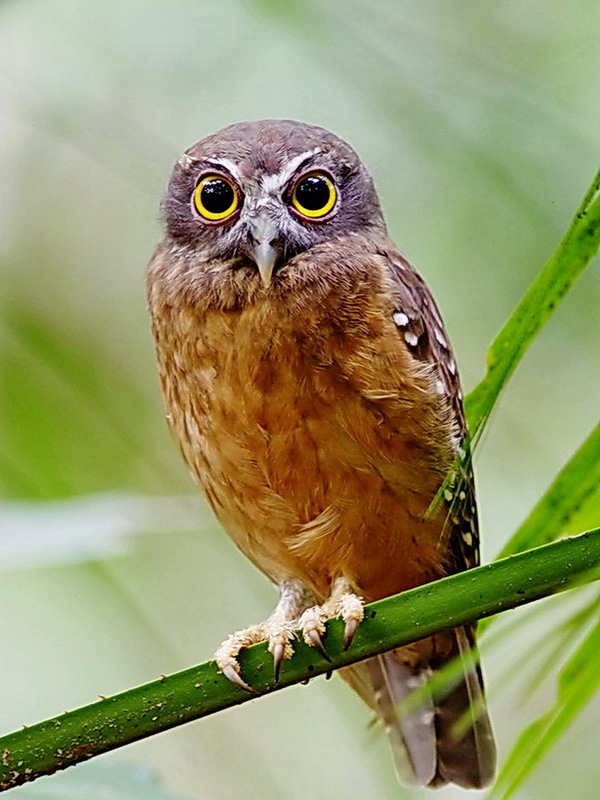 Our afternoon birding will be in a secondary forest to look for Black-ringed White-eye, Sunda Teal, Sulawesi Pitta, Sulawesi Babbler, Piping Crow, Sulawesi Serpent Eagle, Speckled Boobook, Minahassa Masked Owl, and Sulawesi Masked Owl. 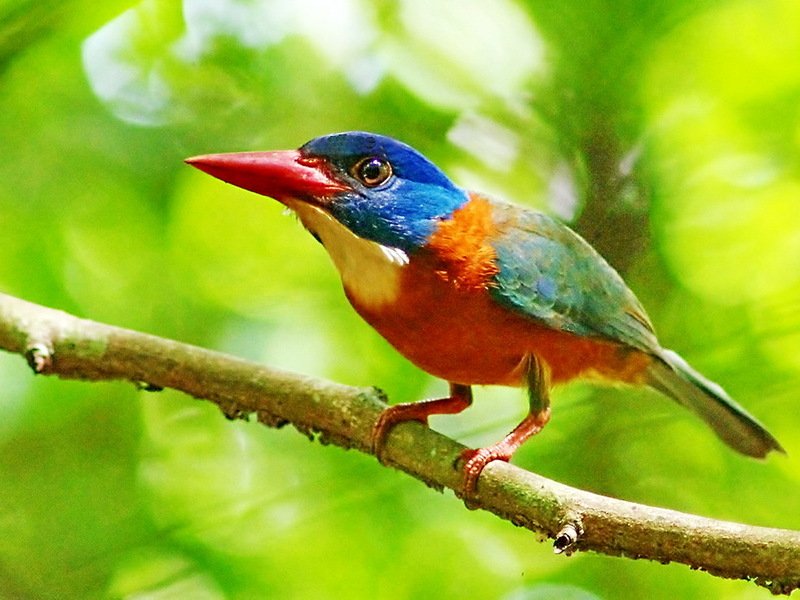 We depart early in the morning and drive through the Karaenta Forest for a chance at seeing Black-headed Kingfisher, Piping Crow, and subspecies of Sulawesi Hornbill and Sulawesi Streaked Flycatcher. Afterwards the trip continues, driving five to six hours to Malino. Afternoon birding will be on farm lands to look for Pale-vented Myna. We’ll rise early in the morning and then hike up to the Lompobattang Forest to look for key species like Lompobattang Flycatcher, Lompobattang Leaf Warbler, Lompobattang Fruit Dove, and a subspecies of Hylocitrea. Afterward we drive back to Makassar to catch a flight scheduled to depart at night to Palu. In the morning we will fly to Luwuk and then drive four to five hours to Taima. We’ll be birding along the way. Keep your eyes open for Sulawesi Serpent Eagle, Sulawesi Honey Buzzard, Sulawesi Hawk-Eagle, and other endemic species. 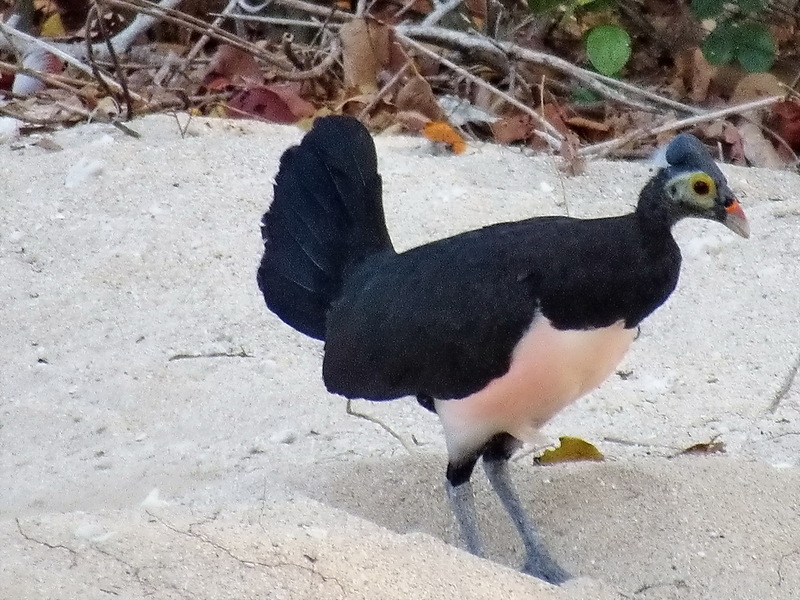 In the afternoon we’ll be birding for Maleo at its nesting ground on a white, sandy beach. In the morning we’ll be birding the Taima forest, hoping to see Maleo (again?) and many fascinating lowland Sulawesi species. After lunch we will be driving to Luwuk, again making birding stops along the way. After breakfast we’ll transfer to the airport to catch a flight to Palu. From there we continue driving toward Lore Lindu for three to four hours. 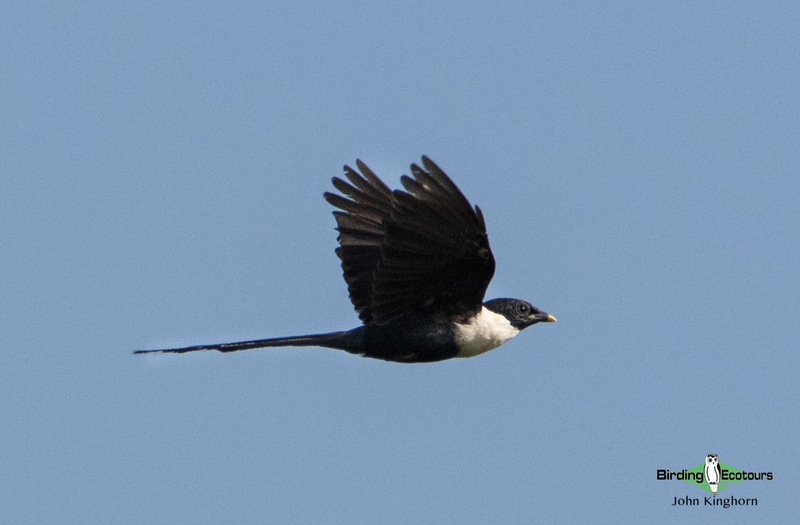 We’ll be birding along the way for a chance to see Pale-vented Myna and Pale-headed Munia. We’ll spend two days exploring one of Indonesia’s most famous parks. Today we’ll bird in the early morning along the roadside to find Cinnabar Boobook and Sulawesi Thrush, then continue to Lake Tambing to see more endemic species like Sulawesi Drongo, Dark-eared Myza, Citrine Lorikeet, Sulawesi Blue Flycatcher, Blue-fronted Blue Flycatcher, Spot-tailed Sparrowhawk, Dwarf Sparrowhawk, Sulawesi Goshawk, Malia, Pygmy Cuckooshrike, Cerulean Cuckooshrike, Streak-headed White-eye, Sulawesi Leaf Warbler, Fiery-browed Starling, and much more… We will do some night birding to look for Speckled Boobook, Sulawesi Masked Owl, and Minahassa Masked Owl. We’ll depart very early in the morning, hiking up the Anaso track to look for our target species: Satanic Nightjar, Grey-headed Imperial Pigeon, Sombre Pigeon, Great Shortwing, Purple-bearded Bee-eater, White-eared Myza, Mountain Serin, and Hylocitrea. After that we’ll continue to the Padaeha roadside for other endemic species such as Sulawesi Cicadabird, Piping Crow, Knobbed Hornbill, Rufous-throated Flycatcher, Sulawesi Blue Flycatcher, Ivory-backed Woodswallow, and Crimson-crowned Flowerpecker. After breakfast we’ll still be birding in the park to look for species that may be missing, and then we’ll drive to Palu and head to the Poboya-Paneki Forest Park for a chance to find Sulawesi Pitta if missed in Tangkoko and Makassar. 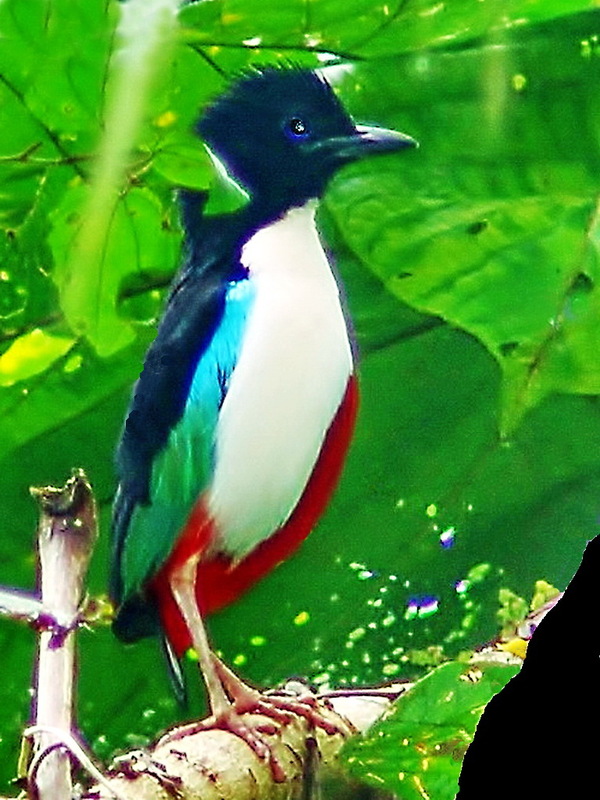 Other species should be seen like Sulawesi Hornbill, Grey-sided Flowerpecker, Yellow-sided Flowerpecker, Black Sunbird, Pale Blue Monarch, Sulawesi Triller, Purple Needletail, Maroon-chinned Fruit Dove, Sulawesi Swiftlet, etc. Today early in the morning we will fly by Garuda Indonesia airline directly to Jakarta, from where you will connect with your international flights home. End of service. -No mosquito nets in the rooms, not needed.